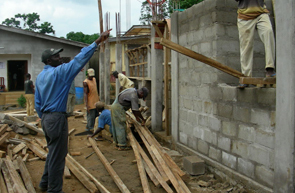 In Cameroon, as in most sub-Saharan countries, the regular school system is fraught with inefficiencies, with large class sizes and few support resources. There is currently little hope for success in that system. The problems of Africa will not be solved unless and until a critical mass of the people possesses the knowledge and the training to know that things can and should be better. With the goal to create 40, 50 or even 60 of those young people every year, Eta Colleges International will plant a powerful seed for growth and change. In the rural town of Kumba, Cameroon a small secondary school will produce an unusually high number of University entrants and future African leaders. Why there? The primary reason is we have a direct connection to Kumba, Cameroon through Mr. John Eta and his family. John Eta was born and raised in Kumba, Cameroon and his brothers and sisters still live and work in Cameroon. Their father, Samuel Eta, was a well-known and respected District Administrator in the Kumba region and a man who believed passionately in the power of education, ultimately inspiring John and his family to donate their own land for the first Eta College, in his honour. This strong connection enables direct monitoring of the project. Secondarily, Cameroon enjoys abundant food and fresh water. 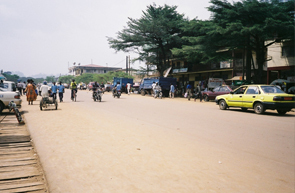 Cameroon is a well-endowed commodity economy in Sub-Saharan Afria. Oil remains Cameroon's main export commodity and despite falling global oil prices, still accounts for nearly 40% of exports. Cameroon’s GDP Real growth rate is at 4.4% (2016). Cameroon’s population of nearly 25 million (2016), are relatively healthy with a low HIV/Aids rate of 3.8%. “Kumbatown”, as it is referred to locally, has nearly half a million people in its environs. 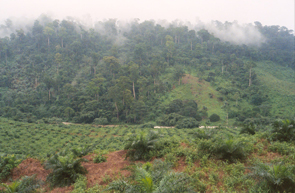 Fertile lands surround Kumba making the local economy agriculturally based with diverse products like tea, coffee, rubber, cocoa, palm oil and many food crops under production. The community is large and fairly well endowed, which translates into a healthy pool of students.